UPDATED: Wed., Aug. 22, 2018, 9:11 p.m. 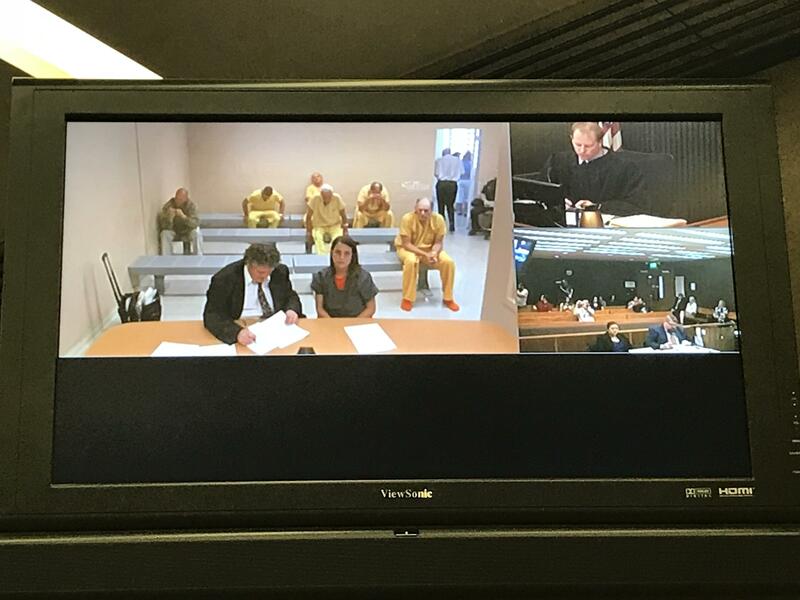 Bond was reduced Wednesday afternoon for Cristina Stiles, a woman suspected of killing Cory Fowler in 2016 and leaving his body for his parents to find. Stiles, 38, was extradited from Jacksonville, Florida, and booked Tuesday into the Spokane County Jail on a charge of first-degree murder. According to court records and her son Owen Stiles, she moved to Florida about a year ago, where she was working to support her three children, one of whom is the daughter of Fowler. She was arrested Aug. 7 after detectives with the Spokane County Sheriff’s Office flew to Jacksonville, concluding a yearslong investigation. Before being transported to Spokane, she was incarcerated in lieu of a $1 million bond, now reduced to $250,000. In Spokane County District Court on Wednesday afternoon, Stiles’ attorney Robert Sargent successfully argued before Judge Eric Dooyema that his client had no criminal history and didn’t pose a flight risk if not in custody. Deputy Prosecutor Kyle Treece, however, pointed to Stiles’ pages-long probable cause affidavit, which suggests she went through great lengths to cover her tracks after Fowler was found dead Feb. 18, 2016, inside his Spokane Valley apartment on East Mansfield Avenue with a bullet in his head and chest. Published: Aug. 22, 2018, 8:43 p.m. Updated: Aug. 22, 2018, 9:11 p.m.